But Oswald has secrets. He is running away from something in England--a shadow that still haunts him, no matter how much he consoles himself with the delights of Venice. When he finds a dead man at the carnival, he is dragged into a murder investigation that draws him deep into the intrigues of this paranoid, mysterious city. 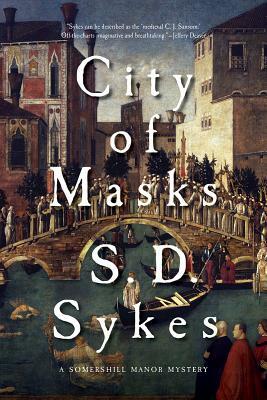 From the dungeons of the Doge's Palace to the convent-brothel of Santa Lucia, Oswald must search for a murderer in this bewildering maze of alleys and canals. When he comes up against the feared Signori di Notte, the secret police, Oswald learns that he is not the only one with something to hide. Everyone is watching (or trailing) someone else; and nobody in Venice is who they appear to be. Masks, it seems, are not only for the carnival.